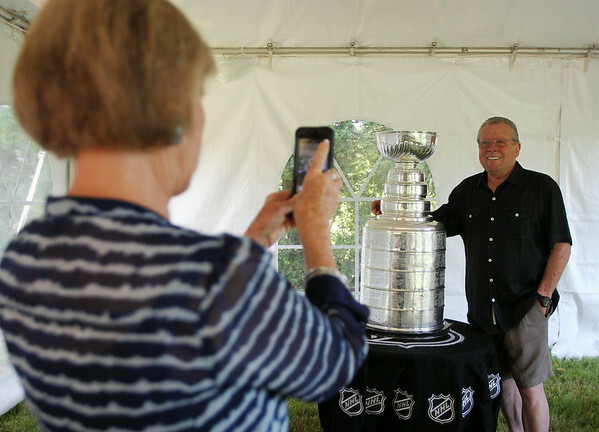 Wendy Hughes, of Newport Beach, CA, takes a photo of her husband Fred with the Stanley Cup on Sunday morning. Mark Yanetti, of Topsfield, the Director of Amateur Scouting for the Los Angeles Kings won the Cup for the second time in three years. DAVID LE/Staff photo. 6/29/14.